IndiansinKuwait.com - ‘Flying Man of India’ enthralled the Indian community in Kuwait. ‘Flying Man of India’ enthralled the Indian community in Kuwait. 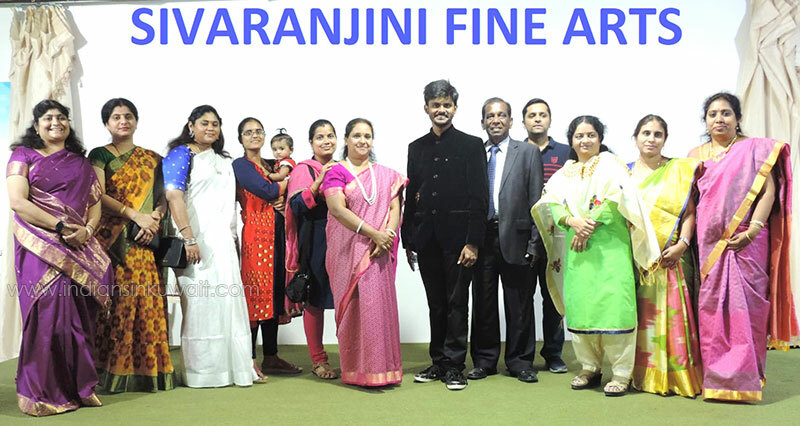 ‘Sivaranjani Fine Arts’ one of the pioneering cultural organization in Kuwait organized a grand magic show in Grand Udayam Hall at Mangaf, Kuwait on the glittering evening of 11th March 2019. The function enthusiastically commenced at 7:00 pm with the recitation of prayer song by Mr. Shiva Ranjani Siva, the founder president of Sivaranjani Fine Arts. The President has welcomed the gatherings. The famous Indian magician Shri. Vignesh Prabu, prominently known as ‘Flying Man of India’ astonished the huge gathering, mostly the kids with his scintillating magic show. Vignesh Prabu’s performance made everybody’s attention turned towards him. He gains the spectators attention with his interactions and he does mentalism to read the audience mind and serve them a great entertainment. His magic makes the children think in a different manner from the usual way of logical thinking. Dr. S. M. Haider Ali, the Chairmen of T.V.S. Travels and Cargo, Kuwait was the chief guest and he enthusiastically enjoyed the entire show. The Program was well anchored by Shrimathi. Lalitha. Awesome dance programme by the kids and sparkling cinematic songs fascinate the audience. The programme was well organized by Messrs. Seetharaman, Ragu, Jothi, Prabakar, Messes. Deepa, Gowri, Saradha, Gayathri, Priya and Anu. The programme was concluded at 10:00 p.m with delicious dinner,Shri.VigneshPrabhuK Magician and Mentalist From INDIA, Had performed a show in Kuwait on 11th April 2019. Shivaranjani Fine Arts, Kuwait is very happy and proud to bestow the Title of “MAYA JALA CHAKKARAVARTHI” in appreciation of his excellent performance.